Wrestler Ric Flair used to boast about his popularity and success in the ring to fans: "Whether you like it or not, it's the best thing going today. Whooo!" The Dallas Cowboys remained on top of our ranking, worth $1.65 billion, 2% more than a year ago. Thanks to the sale of personal seat licenses (the right to buy a season ticket) the team moved into their $1.15 billion stadium this season with only $200 million of debt and almost all of their season tickets sold. The team has also leased most of the stadium's 300 luxury suites for an average $275,000 a year. 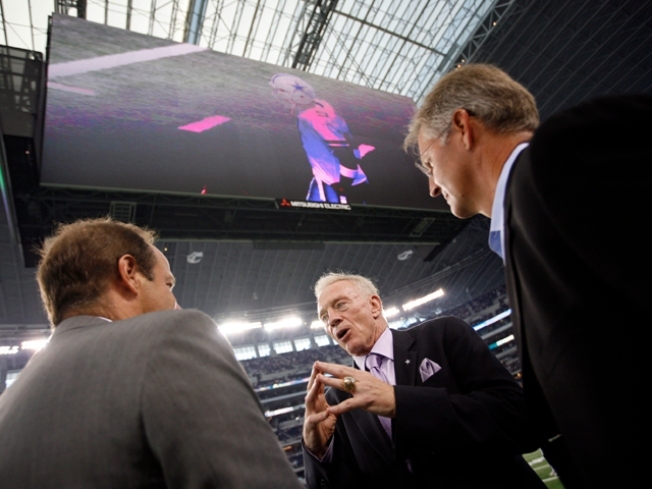 Revenue from the new stadium, net of debt service and operating costs, will be about $285 million in 2009, more than double last year (last year's valuation of the Cowboys partly accounted for the new stadium). Once the reminder of seats, suites and sponsorships are sold the franchise will be worth in the neighborhood of $2 billion. The Redskins came in second place followed by New England, New York Giants and New York Jets. Nineteen NFL franchises are valued at $1 billion or more.